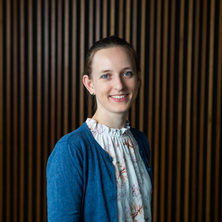 Dr Alina Bialkowski is a machine learning researcher and Lecturer at The University of Queensland, working on applications in medical imaging and intelligent transport systems. Her research interests are in extracting information from complex data using computer vision, feature learning and deep learning techniques and developing interpretable explanations and visualisations of models to solve real-world problems. She holds a PhD and BEng (Electrical Engineering) from the Queensland University of Technology, Australia. Her doctoral studies were in characterising group behaviours from visual and spatio-temporal data to enhance statistics and visualisation in sports analytics as well as intelligent surveillance systems. She spent a year at Disney Research Pittsburgh where she developed algorithms and tools to automatically analyse team sports, followed by 2.5 years as a postdoctoral researcher at the University College London, using deep neural networks to better understand human perception and attention in driving, before joining UQ in late 2017. Developing interpretable or explainable machine learning models to increase trust in as well as transparency of computer-based decisions. Developing models of visual information using image processing and feature representation learning approaches such as deep learning to perform predictions on data (e.g. classification, regression). Combining multiple sources of information to improve accuracy of predictions. Utilising electromagnetic sensors to enable remote sensing and non-invasive imaging.